Foreign nationals with a single misdemeanor on their criminal record may be considered "deemed rehabilitated" and permitted entry to Canada once enough time has passed since full completion of the imposed sentence. In order to qualify for Deemed Rehabilitation, the equivalent crime in Canada must have a maximum punishment of less than ten years in jail. Under Canada's immigration laws, the clock does not start ticking towards Deemed Rehabilitation until a person has fully completed every single element of their sentence including any probation, incarceration, payment of fines, community service, and reinstatement of driving privileges (if applicable). If the offense involved significant property damage, physical harm to a person, or a weapon or any kind, the individual may never be eligible for Deemed Rehabilitation. 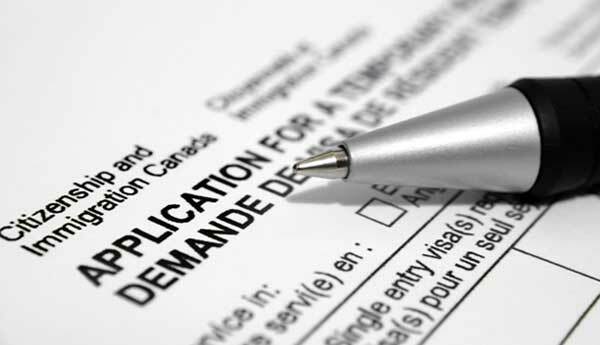 You may be required to prove to Canadian border officials that you are fully eligible for Deemed Rehabilitation. How Long After a DUI Until You Can Go to Canada? Before December 2018, once it had been ten years since a foreign national with a single DUI had entirely completed all sentencing requirements, he or she may be considered deemed rehabilitated by virtue of time and permitted entrance into Canada again. This is no longer the case! On December 18th, 2018, Canada implemented tough new DUI laws that increased the maximum penalty for impaired driving to ten years. As a result of amendments contained in Bill C-46, Canada now considers a DUI to be a serious crime and consequently impaired driving offenses no longer qualify for Deemed Rehabilitation as they did in the past when such an offense only carried a maximum sentence of five years. This means you can now be denied entry to Canada because of a single DWI, even if it happened more than a decade ago. If you are considered criminally inadmissible to Canada because of a DUI or other misdemeanor or felony conviction, you will require a Temporary Resident Permit document (TRP) or Criminal Rehabilitation (CR) in order to lawfully cross the border. Want to go to Canada but have a DUI, DWI, OWI, DWAI, wet reckless, or other drunk driving offense in your past? Phone our Canadian immigration law firm today for a free consultation. Some Americans with a single intoxicated driving offense may still be eligible to enter Canada without applying for a TRP or Criminal Rehabilitation, provided they became deemed rehabilitated by the passage of time before a DUI became a serious crime in Canada. If a person has a solo DWI that did not cause significant property damage or injury to others, they may still be able to travel to Canada if they can prove they were eligible for Deemed Rehabilitation prior to December 18th, 2018. Now that a DUI is considered serious criminality by Canada, however, it is advisable for any American who has ever been arrested for impaired driving (regardless of how long ago) to obtain a legal opinion letter from a Canadian immigration attorney before attempting to cross the border. Deemed Rehabilitation does not usually apply to individuals with a felony criminal record. If the crime that was committed is considered a "serious crime" in Canada, or it involved physical harm to a person, any type of weapon, or major property damage, the foreign national is often not eligible to be deemed rehabilitated at a Port of Entry. Consequently, felons may never be permitted to cross the Canadian border without special permission in the form of a TRP or CR. Likewise, anyone with more than one conviction on their criminal record may never become admissible to Canada by the passage of time, even if the crimes were as minor as reckless driving or petty theft. This means that a person with one misdemeanor may be eligible for Deemed Rehabilitation after ten years, while an individual with one felony or two misdemeanors (or more) might not be. Foreigners relying on being considered rehabilitated by Canadian authorities in order to travel to the country are strongly encouraged to obtain a legal opinion letter from a Canada immigration lawyer before attempting to cross the border, especially if being denied entry would cause major problems. Many business travelers do not want to risk having admissibility issues at the border, and the onus is always on the visitor to be able to justify their admittance into the country. In general, probation is often the last sentencing component to be completed by a person, and without proof indicating the exact date probation concluded an American with an ancient DUI could still be denied at the border. The Canadian border will typically be able to see an American's arrest date and conviction date, but will not be able to see if or when a foreign national finished their probation or paid their fine. To help ensure successful entry to Canada, individuals who have an old criminal conviction should be able to justify their entrance to CBSA officials by bringing proof that they satisfy all the requirements for Deemed Rehabilitation. Before a DUI was considered a serious crime in Canada, bringing documentation to the border that showed all sentencing requirements were accomplished more than ten years prior was typically enough to gain entry. Now that impaired driving in Canada is punishable by up to ten years in jail, Americans who wish to claim grandfathered Deemed Rehabilitation with an old DUI are advised to obtain a legal opinion letter from a Canadian lawyer. Individuals entering Canada with a conditional discharge, suspended sentence, deferred prosecution, or other complicated "no conviction" situations may also need to prove their admissibility to border staff. Any American who has ever been convicted of such an offense could now be rendered inadmissible to Canada for life on the grounds of criminality. While operation after revocation is considered a more serious offense than driving with no license, an offense in the United States for driving without a valid license could still equate to the more serious crime in Canada. Even Americans with a single alcohol-related traffic violation from more than ten years ago, such as a DWAI in New York, can now be ineligible to visit Canada even though the offense was not a criminal conviction. To learn more about crossing the Canadian border with an old DUI or criminal conviction, phone us today for a free consultation. Citizenship and Immigration Canada (CIC) ENF 2 / OP 18 "Evaluating Inadmissibility" A36(2)(b) states: "An applicant convicted outside Canada (of an offence that if committed in Canada would constitute an offence under an Act of Parliament punishable by a maximum term of imprisonment of less than 10 years) may be deemed rehabilitated if 10 years have elapsed since the completion of the sentence imposed and they have not been convicted of a subsequent offence other than an offence designated as a contravention under the Contraventions Act or an offence under the Young Offenders Act." This Canada Deemed Rehabilitation law may enable foreign nationals with a DUI or DWI on their criminal record to potentially become admissible to cross the border again if enough time passed since he or she wrapped up all their sentencing requirements, provided they became deemed rehabilitated before December 18th, 2018 when the law changed. If an American needs to enter Canada with a DUI and did not reach the ten year market before Bill C-46 was enacted, Canadian rehabilitation or a Temporary Resident Permit can both overcome criminal inadmissibility. For people with two or more minor convictions that equate to summary offenses in Canada, such as disorderly conduct, Deemed Rehabilitation may be possible after five years. When being assessed for Deemed Rehabilitation at a Canadian Port of Entry, border staff working for Immigration, Refugees and Citizenship Canada (IRCC) may request to see documentation related to your criminal history. This can include court documents, a recent criminal record check, as well as a recent police certificate from your country, such as an FBI Police Certificate in the United States. The decision to grant a visitor deemed rehabilitated status is solely at the discretion of Canadian immigration officials at a consulate or border. Requests for Canada Deemed Rehabilitation are never guaranteed to be approved, and although Canada and the US have great relations Americans must still validate their admission into the country or they could be denied entry. In order to be classified as rehabilitated, Immigration Canada may also interview a person to determine their criminal history. After a finding of deemed rehabilitated, an American should no longer have issues crossing the Canadian border due to their past criminality, provided he or she is not arrested again. Regardless of the precise foreign statute a person was formally convicted under in their past, obtaining Canadian permanent residency as a sponsored spouse may be possible once the individual is considered rehabilitated by immigration and border officials. To demonstrate eligibility for Deemed Rehabilitation under Canada's Immigration and Refugee Protection Act (IRPA), paperwork attesting to the exact date probation was fully completed and all court-imposed fines were paid may be necessary. Wondering if you are still criminally inadmissible to Canada? Contact us now for a free evaluation.